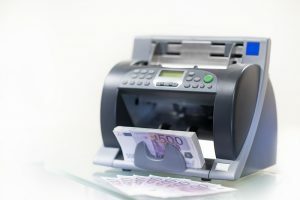 The professional money counter is, without doubt, one of the models popular with businesses that deal with a lot of cash. That is because of its advanced features. Unlike the typical currency counter machine, the professional money counter comes with more functions that make the more effective. You can set its batch mode, detect half notes, chain note detection amongst other functions. The first thing that you should consider is the size of the machine. This may also include the weight of the money counter. Depending on the space that you want to place the machine, you should bring in a machine that fits well. There are various models, and the size would be one of the factors while selecting. Make sure that you checked the weight and how much can be supported. The second thing that you need to look for in professional money counter is the performance. To get that right, you need to look at the speed of the machine. Every genuine manufacturer ensures that they have clarified the optimal speed that the machine can reach. So check how many notes the machine can count in a minute. A machine that can count around 800 to 1000 notes in a minute would be a cool choice. The counterfeit bill detection features is another factor that you need to look for in professional money counter. There various technologies that are used to detect fake bills including IR, MG, IM, CIS and VU amongst others. UV is one of the most effective and hence you need to look for its quality. The ease of use and maintenance of professional money counter is another factor that you buyers must always consider. Check how much of the functions have been automated. When it comes to maintenance, the machine should be easily open to access the interior. That will make it easy to repair and maintain your machine. This entry was posted in Blog on 2019年1月18日 by rimrock.